Here's a great deal for new DoggyLoot members to use with your new signup $5 credit! 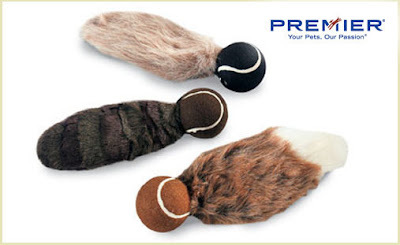 Tennis Tails are on sale today for $10 with free shipping, so only $5 with your credit. These regularly cost $15! You can choose from 3 different styles (Fox, Squirrel, Raccoon). This toy brings together the classic fun of the tennis ball and the endless entertainment of a squeaky toy and combines them into one killer ball. Click here to get your credit and more info!